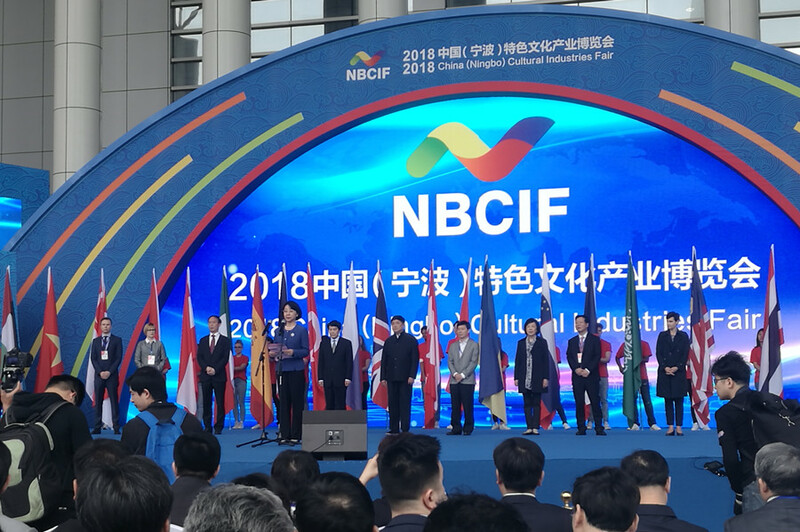 The 2018 China (Ningbo) Cultural Industrial Fair (NBCIF) took place at the Ningbo Expo Center in Ningbo, East China's Zhejiang province, from April 13 to 16. With a total exhibition area of 53,000 square meters, the fair set up eight pavilions for more than 2,800 booths. Over 1,500 enterprises from around the world signed up for the fair. Centered on the idea that "the market is the touchstone", a series of exhibitions, forums, seminars and roadshows related to culture and creativity were staged within the four days of the fair.